With last month’s $8 million infrastructure ask of the City of Grandview from PG, LLC, developers of Gateway Village, left on the table, an agreement has been reached. 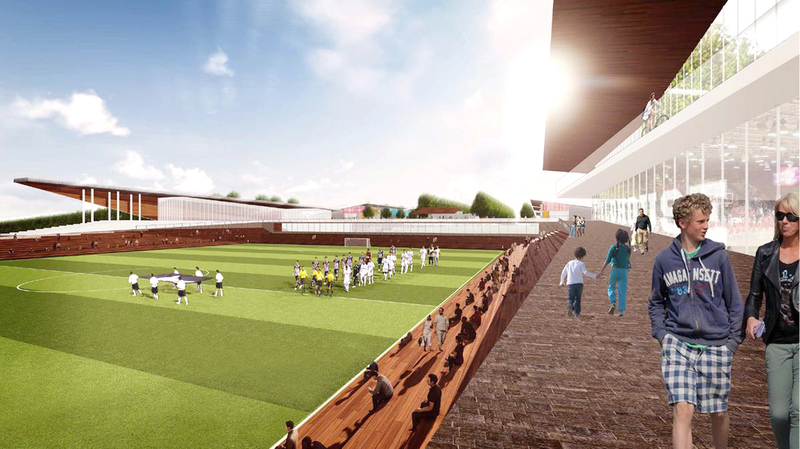 “We’ve talked at length about this being a partnership and I think we’re at a point now where we can say that we do have a partnership and we are working together to accomplish a phenomenal goal of building a world-class soccer/mixed-use facility here in Grandview,” said Deron Cherry, developer. restaurants and other mixed-use, Cherry said the number of visitors will definitely be higher. The developers have been exploring the financial implications, and lenders are looking for the City of Grandview to have some ownership and be involved in the project. The now $5.65 million contribution from the City of Grandview will go toward the public infrastructure pieces of the development. The City of Grandview will eventually own the public infrastructure pieces, and the funds used for that part of the development will be 100% reimbursable costs. The developer and the City of Grandview are working together to seek public funding assistance from all local, state and federal resources, including Missouri Department of Economic Development, Missouri Department of Transportation, Jackson County and the federal government. Residents of the City of Grandview will see other benefits beyond having the development along the 150 Highway corridor. Part of the agreement includes that any Grandview resident who wishes to participate in recreational soccer, youth or adult, at Gateway Village, will be able to do so at a 75% or more discounted rate. The city’s contribution will enhance the developer’s opportunity to obtain private financing. PG, LLC anticipates closing on their financing within six weeks, with construction on the first phase of soccer fields to begin in mid to late summer. Depending on the site excavation and other work on the property itself, the plan is still to have fields ready for soccer by fall of this year. Retail, restaurant and other development that will occur in Gateway Village will be announced at a later date as the developers continue to receive letters of intent from potential business partners. Gungor stated that the 26,000 residents of Grandview remain the city’s priority and that they will ensure that whatever contributions are made to the development will be affordable and include a return on investment. Where exactly will this be? Not sure what the 150 corridor is. Beth, this development is off of 150 Highway, between Byars and Kelley roads in Grandview, MO.